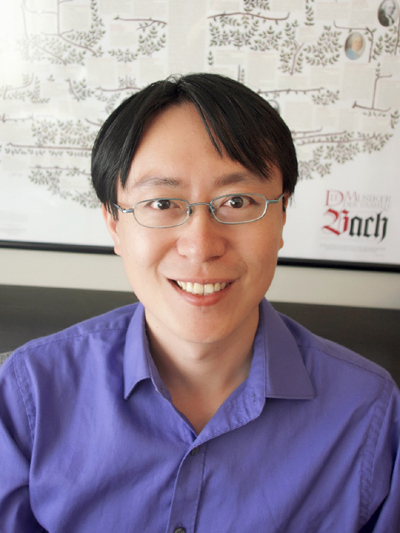 李明倫 Ming-Lun Lee is an Assistant Professor of Audio and Music Engineering at the Department of Electrical and Computer Engineering, University of Rochester. He has received a Ph.D. degree in Historical Musicology and Music Theory from the University at Buffalo and master’s degrees in Musicology and Electrical Engineering from National Taiwan University. Lee studied choral conducting with Chia-Fen Weng and voice with Chung-Kung Lin and Chi-Ling Hong. He has appeared as a guest conductor with Ching-Yun Choir and National Defense Medical Center Choir and a baritone soloist with Ching-Yun Choir, National Taiwan Normal University Music Department Chorus, and University at Buffalo Choir. He was selected to participate in several master classes held by distinguished conductors, including Dirk DuHei, Gábor Hollerung, Edward Maclary, Robert Page, Kurt Suttner, and William Weinert. He has been invited to be a guest lecturer at the Taipei International Choral Festival in 2013 and 2016. Lee is currently music director of the Chinese Choral Society of Rochester and vocal coach of the Taiwanese Choral Society of Rochester. For an introduction to our past conductors and panists, please click here.